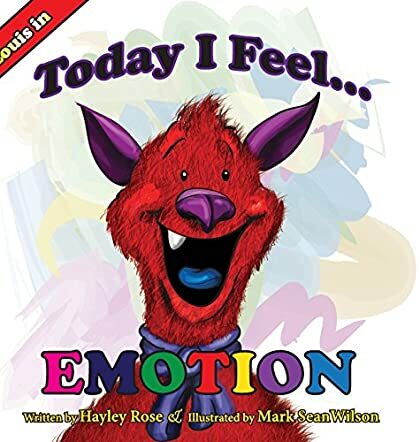 Today I Feel Emotion by Hayley Rose is a delightful story book that will introduce kids to the concept of emotions. It is important for kids to know about all emotions, including the negative ones. The book targets kids between the age groups of 4-8 and emotions are taught in a fun-filled manner, making it easy for children to understand. It is a helpful book that will help kids express themselves, and they can also compare the pictures relating to the emotions with their own feelings. Come, let's take the trip along with Louis and see what he has in store for us! The book makes the concept of emotions very clear with big and colorful illustrations. The pictures really complement the author's thoughts and add clarity to the concept. Louis' facial expressions capture the moods very well. Louis is adorable in his different emotions and kids will love him. Children can relate well to what the author is trying to convey and it is a wonderful book for parents and educators to use for teaching kids. Children will discover their own emotions while looking at Louis. It can be used for read-aloud sessions in classrooms where it will prove to be an excellent interactive guide. I would definitely recommend this book be kept in all school libraries and kids' libraries. It is an awesome book with good pictures which are attractive enough to capture the attention of all young readers.